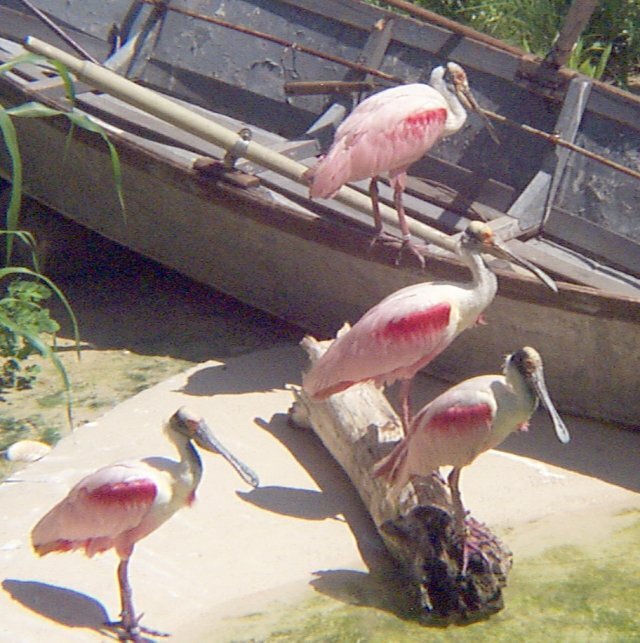 Roseate spoonbills live mostly in swamplands and anywhere where aquatic plants may exist. These birds are often seen in small groups in areas where there are very shallow waters. They can also be found flying in small flocks of their kind. 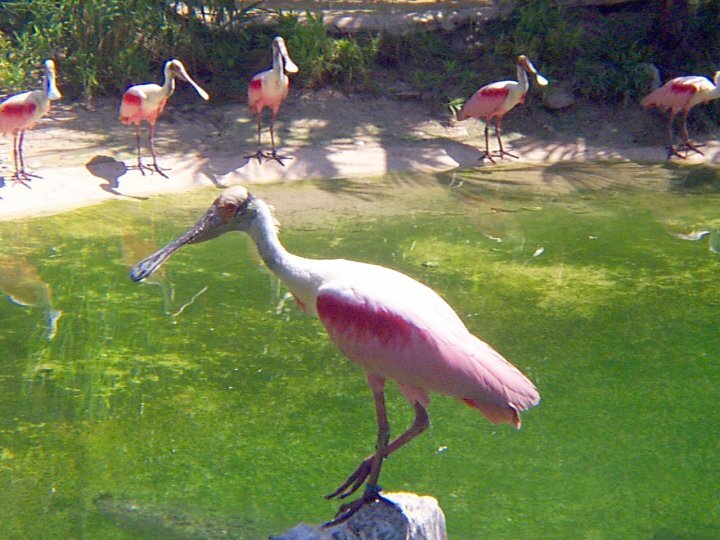 Rosette Spoonbills are colony nesters and are often found with other heron species. They breed in trees and lay three to five eggs. The nest of these birds is made of sticks and twigs. These nests are usually found in trees, bushes and sometimes on the ground. 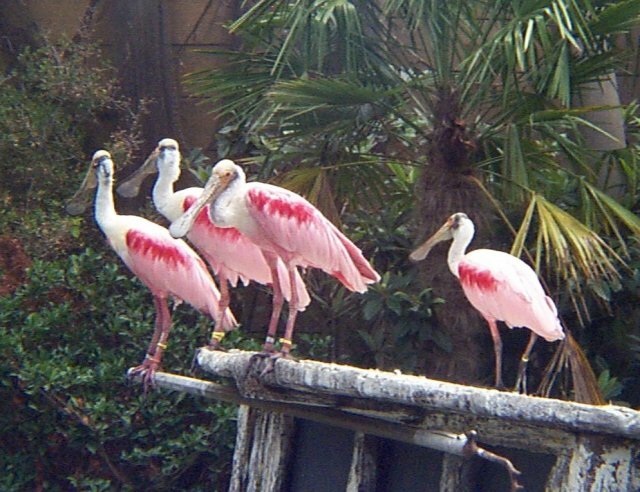 One of the greatest characteristics that these Roseate Spoonbill's have is the way they feed. The Spoonbill's have a very long bill that is shaped like a spoon. These birds move their beaks back and forth, which allows the bird to catch its prey. In addition, these birds also make very weird noises when they eat. Since the zoo keepers are always very busy, I did not have the opportunity to speak to them. Therefore, I really do not know anything specific about the birds at the Fort Worth Zoo, but one thing I do know for sure is that they ar very friendly to visitors. They enjoy for people to walk around in the exhibit and they are never frightened. The Roseate Spoonbills seem to be very social birds. They were always in groups and they were not afraid of people. They are nice, beautiful birds that do not mind to have humans as company. Perrins, M. Christopher. The Illustrated Encyclopedia of Birds. New York: Prentice Hall 1990: 73.